Every year in early January I post the 10 “best” posts of the previous year. Sometimes I choose my favorite posts. Sometimes I choose posts that are very personal. And sometimes, I just choose highly trafficked blog posts. This year, I am stickin’ with the high trafficked posts. 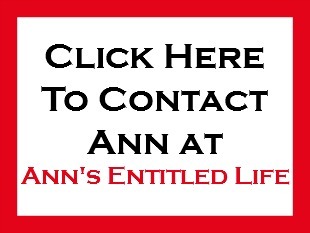 Ann’s Entitled Life gets a fair amount of daily readers. People are kind enough to share my posts on social media alerting their friends and family to posts that they think may interest their circle of friends. A good many times, it is the same post others have shared. Sometimes, a post is timely. Sometimes the photos look good. And sometimes, a post just catches on for no reason apparent to anyone. • Orange Creamsicle Cocktail Recipe – This recipe went CRAZY on facebook. 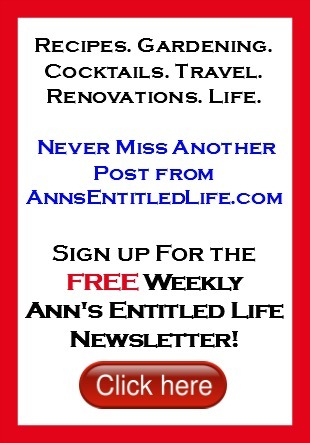 Over 1.5 million people have stopped on Ann’s Entitled Life to read this specific recipe since it was published in May. That’s a lotta people who like cocktails. Or creamsicles. Or both. • 20 Useful Household Hacks – People like hacks. We all like new and different ways to do things, and a hack is a MacGyver-ish way of thinking outside the box. • White Christmas Pie Recipe – This was posted three weeks ago, and became a top 20 blog post for 2015 (and #3 published in 2015) the first week it was out. To say I was flabbergasted would be an understatement. • Classic Vanilla Buttercream Frosting Recipe – Also a very popular recipe on Facebook. I’ve noticed that people on Facebook love frosting, and apparently, this recipe. • Macaroni Pizza Casserole Recipe – Hubby’s favorite dinner when he was a child. It really is pretty darned good! • Tips To Organize Your Entire House – Posted last January, this post really resonated with people. Who doesn’t want to be more organized!? • 25 Ground Beef Recipes – This one’s popularity is pretty obvious! Who doesn’t want a new recipe for hamburger? I know I always do. 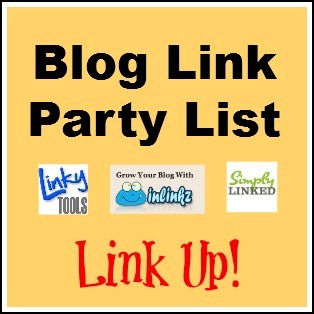 • 20 Easy Icing and Frosting Recipes – Another very popular post with the Facebook crowd. • 20 DIY Costumes for Families – A Halloween costume round-up, this was a very popular post with people with children. • Italian Macaroni and Cheese Recipe – Sometimes I don’t understand why a recipe catches a reader’s fancy. This one I totally get though! Who doesn’t looooooove cheese? The more cheese, the better, IMO! 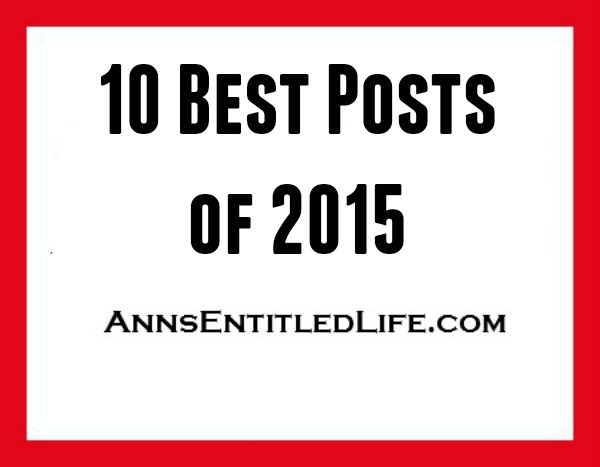 These were the most read posts on Ann’s Entitled Life in 2015. Only two were actually published in 2015, the rest were published in prior years. 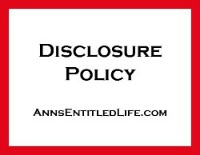 • Banana Split Icebox Cake Recipe – Originally published in 2013, this is the most popular post ever posted on Ann’s Entitled Life. Well over two million people have stopped by to read (and hopefully make) this delicious dessert recipe since I first published it in 2013! • Slow Cooker Cinnamon Roll Breakfast Recipe – Originally published in 2014, this recipe is actually number three all time on Ann’s Entitled Life with well over a million people stopping, reading, and hopefully making, this fantastic breakfast recipe! 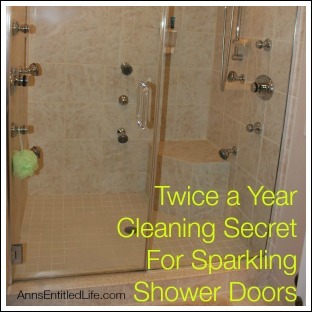 • Twice a Year Cleaning Secret For Sparkling Shower Doors – First published in 2014, this household tip is pretty popular. Apparently I’m not the only one who has no interest in scrubbing shower doors! • Sweet Blueberry Pecan Squares – This is a pretty darned good recipe, but I am not sure why it has caught on so. • Creamy Cucumber Salad – OMG this is soooooo good. It is what my Grandmother used to make. I adore this recipe, and it seems others have enjoyed it too. • 101 Non Candy Easter Basket Ideas For Kids – Apparently, this post fills a real need for parents looking for ideas for candy alternatives in an Easter basket. • Why You Need Lemon Balm In Your Garden – This post on the many uses of lemon balm has been very well received since published in 2014. 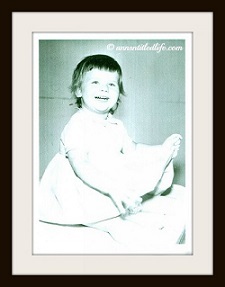 • Oven Roasted Parmesan Green Beans – This is (currently) the most pinned post on Ann’s Entitled Life. This is the 10 Best Posts of 2014 list, and this is the 10 Best Posts of 2013 list.